Fasten your seat belts Steeler Nation, the Steelers have returned to work for the beginning of offseason workouts. The Steelers return after leaving last season just missing the playoffs but sadly finishing with an 8-8 record for the second season in a row. In 2014, the Steelers must be able to fill some big holes that remain inside the roster. Many believe head coach Mike Tomlin has a lot on the line going into 2014. Would three sub-par seasons put the coach on a very hot seat? When looking at the offense, wide receiver Markus Wheaton will be expected to take on a much bigger role in the offense as the Steelers lost both Emmanuel Sanders and Jerricho Cotchery in free agency. The offensive line perhaps has already received its biggest addition by Mike Munchak becoming the team’s offensive line coach. Defensively, the Steelers focused on getting younger by signing safety Mike Mitchell and defensive lineman Cam Thomas in the first week of free agency. 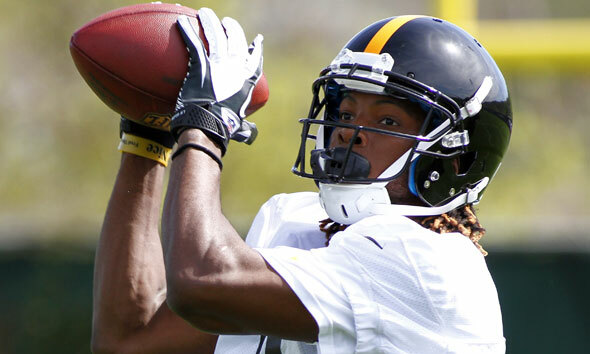 The Steelers watched as long-time free safety Ryan Clark signed with the Washington Redskins. Linebacker LaMarr Woodley was shown the door as the Steelers are hoping for more production out of Jarvis Jones and Jason Worilds. The Steelers must continue to try and fill these holes as the NFL Draft is quickly approaching in May. The Steelers have already looked into several prospects, but must be spot on to help a team with still some gaping holes. Nevertheless, the boys are back in town! 1 Comment on "The Boys Are Back In Town"
For Mike Tomlin to keep his job past 2014 this team must show marked improvement over the past two years . Does it mean they have to win the Super Bowl ? No , however , another losing season such as 7-9 or 8-8 and no playoffs , an Tomlin will be on a very hot seat that he is not likely to get off of .